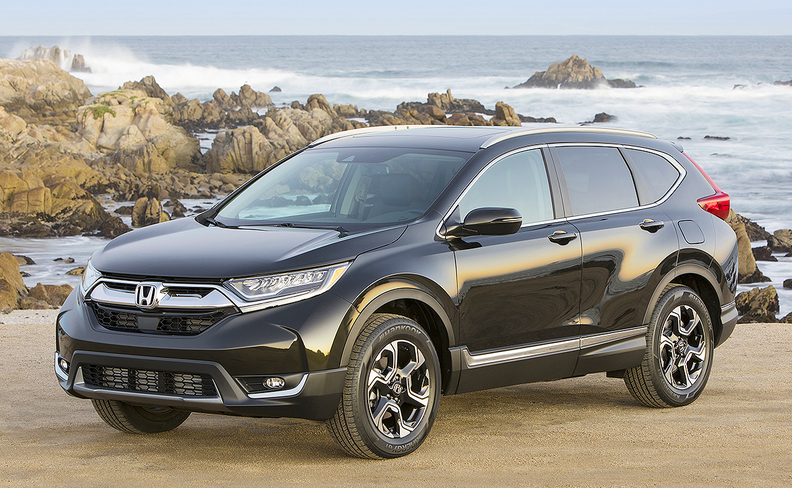 Honda builds the CR-V and Civic in Alliston, Ont. Honda will spend nearly CDN$500 million to upgrade its Alliston, Ont., assembly operations where it builds the Honda Civic and CR-V. The automaker said it will invest up to CDN$408.3 million while the Canadian and Ontario governments will each give Honda conditional grants worth CDN$41.8-million a piece. It's not known what those conditions are. Honda will design and build of a new state-of-the-art paint shop intended to reduce greenhouse gas emissions from the paint process by 44 per cent, the Government of Ontario said in a news release. The automaker will also spend some of the money on research and development to support production of future vehicle models and assembly technologies, including lightweight materials and advanced material bonding techniques. Neither Honda or the governments said if the new vehicle models would eventually be built in Alliston. Premier Kathleen Wynne and Ontario Finance Minister Brad Duguid met with Honda executives, including Honda Canada CEO Jerry Chenkin, at the company’s headquarters in Tokyo as part of a business mission to Japan and South Korea in November 2016. The upgrades will secure 4,000 direct jobs in Alliston, the automaker said.